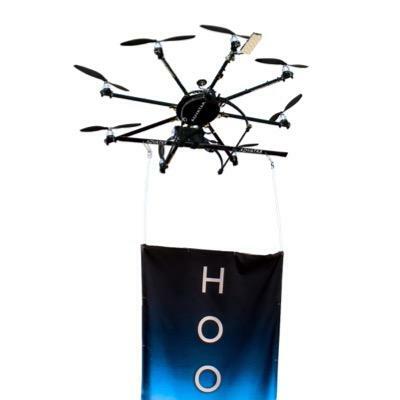 Hoovy is a revolutionary advertising platform that uses UAVs (unmanned aerial vehicle) to raise brand awareness. UAVs are on the frontier of the technological advancements and a topic of fascination by the public. People are captivated by these flying machines and we utilize this allure to create a positive image for your brand. Hoovy is an innovative drone advertising marketing platform that uses drones to drive brand awareness. The drones can access many locations. The element of movement makes Hoovy an interactive and engaging platform for brand exposure that captivates and interests onlookers.